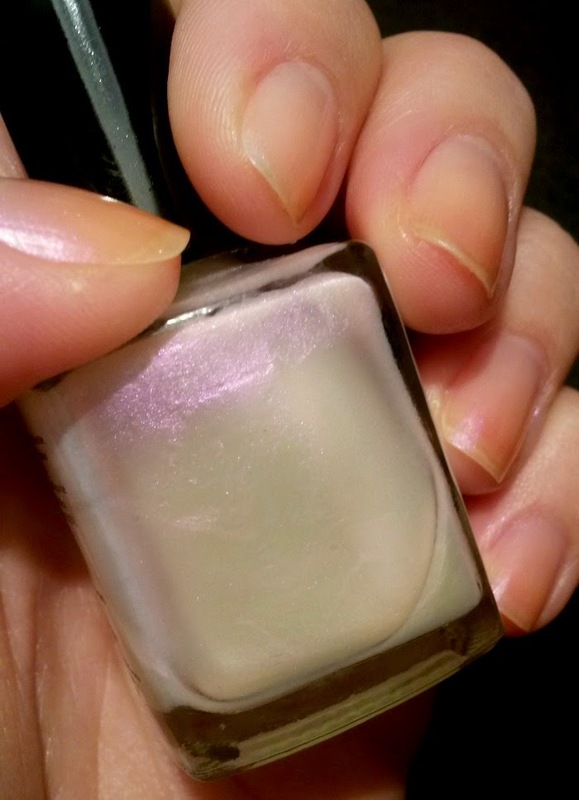 ACO nail polish in "Mother of Pearl"
This colour is such a pretty iridescent pink. I love it because it's so subtle. It almost looks like clear polish, but when it catches the light you can see the hint of pink. I usually only apply one coat and don't bother with top coat when I wear it.